Just one shot of dopamine cells derived from stem cells could be enough to reverse many of the features of Parkinson’s disease for decades – and the barriers to developing such a treatment are finally being overcome. One of the reasons Parkinson’s disease is so attractive for cell therapies, is that it is a tractable problem. If we can get just 100,000 proper nigral dopamine cells in there, it should make a difference. 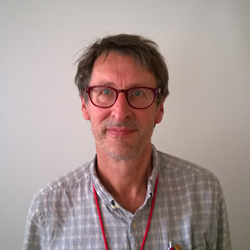 Professor Roger Barker has a dream: by the time he retires in 15 years, he would like to see stem cell transplants for Parkinson’s disease available on the NHS. Fifteen years may seem like plenty of time to realise this dream, but there are so many contingencies that even he admits this may be optimistic. “It assumes that all our clinical trials go smoothly, that industry takes up the technology – and that ‘stem cell tourism’ doesn’t set us back,” he said. It’s not difficult to understand why people resort to stem cell tourism – going abroad, usually to countries such as India and China, to receive private, unregulated stem cell therapies (however experimental) to treat incurable conditions such as Parkinson’s or multiple sclerosis. There has been much hype surrounding stem cells and, with nothing to lose, isn’t it worth at least trying one of these treatments? The trouble is that they are based on very limited – if any – evidence and have the potential “to go pear-shaped”, said Barker. This could damage public – and, more importantly, regulators’ – confidence in the field and lead to inappropriate restrictions on legitimate research. The idea of cell transplants to treat Parkinson’s is not new. One of the key characteristics of the disease, which affects around one in 800 people by the time they are elderly, is the death of dopamine-producing cells in the brain. Finding a way to replace these cells could, in theory, lead to dramatic improvements in the patient’s health. Ever since the 1980s, scientists have been trialling ways of replacing dopamine cells with cells taken from aborted fetuses – a practice which, aside from ethical concerns, is not practical on a scale needed to treat the hundreds of thousands of patients in the UK alone. The trials had mixed success. In some, patients continued to see improvements over 15 years; however, in others, the treatment not only failed, but patients suffered side effects. In part, this was due to an inconsistency in protocols, for example the age of participants, the clinical techniques used for cell delivery and the number of cells transplanted. The beauty of using stem cells is that they can be programmed to become almost any type of cell within the body. The risk, of course, is that they become the wrong kind of cell or ‘run away with themselves’ to become cancerous. Earlier this year in Lisbon, an experimental stem cell treatment – part of an approved trial to cure paralysis – reportedly led to a paraplegic woman growing a nasal tumour on her back. However, Barker is confident that new protocols have all but eliminated safety concerns – though this risk may be very real in cases of stem cell tourism. “Of course, just because we can do something doesn’t necessarily mean we should,” added Barker. Treatments already exist for Parkinson’s disease. The drug L-dopa can replace lost dopamine and reverse symptoms – but medication needs to be taken regularly, can cause side effects and eventually becomes relatively ineffective. Deep brain stimulation – electrodes implanted into the brain – can likewise prevent tremors and reduce some of the motor features experienced by Parkinson’s sufferers, but patients need to carry around battery packs under their skin. Cell therapies, on the other hand, are relatively straightforward to administer, injected through a small hole in the skull, and just one shot should last decades. Inset images: Neurons from a human neural stem cell (credit: Wellcome Trust). Roger Barker.